With the amount of technology that we have today, we’re never far away from the latest text message, status update, or tweet. With phones, laptops, netbooks, tablets, etc, there’s always something within your fingertips to keep you connected, and they keep thinking of ways to make it easier, faster, and better. 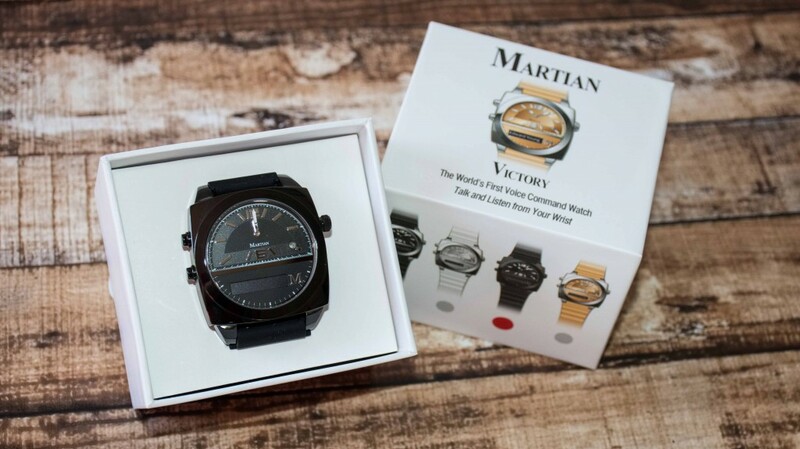 The Martian Watches Company asked me to check out the Victory watch with Black Case and Band. 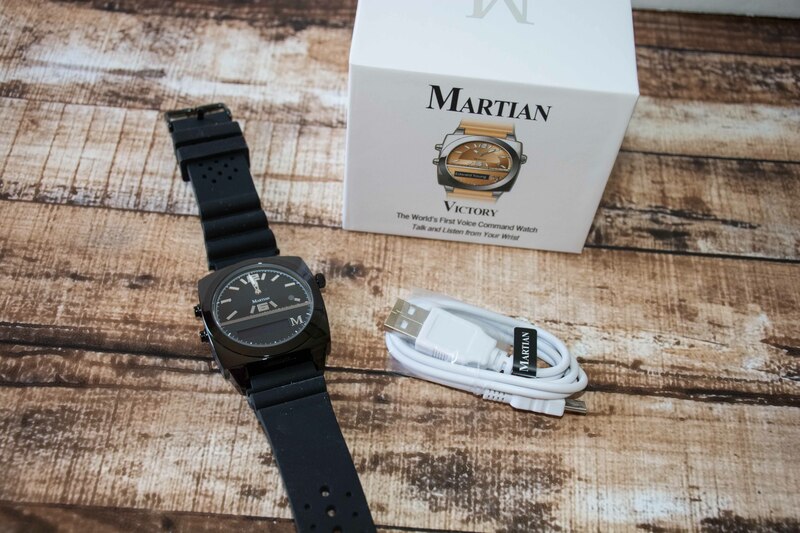 The Martian Victory is the world’s first voice command watch! While this sort of looks like an ordinary watch, it’s definitely anything but. This watch will keep you connected at all times. Since it’s actually a part of your fashion accessories, even when you’re driving, you still have something to keep you up to date on all things digital. You can get notifications anywhere, anytime, and you have hands free text messaging right on your wrist! Need to make a phone call? This watch allows you to do that, too, with voice commands! Do you love to take photos with your phone? This watch will trigger your camera’s shutter remotely, so that you can get the best picture without the shakiness. 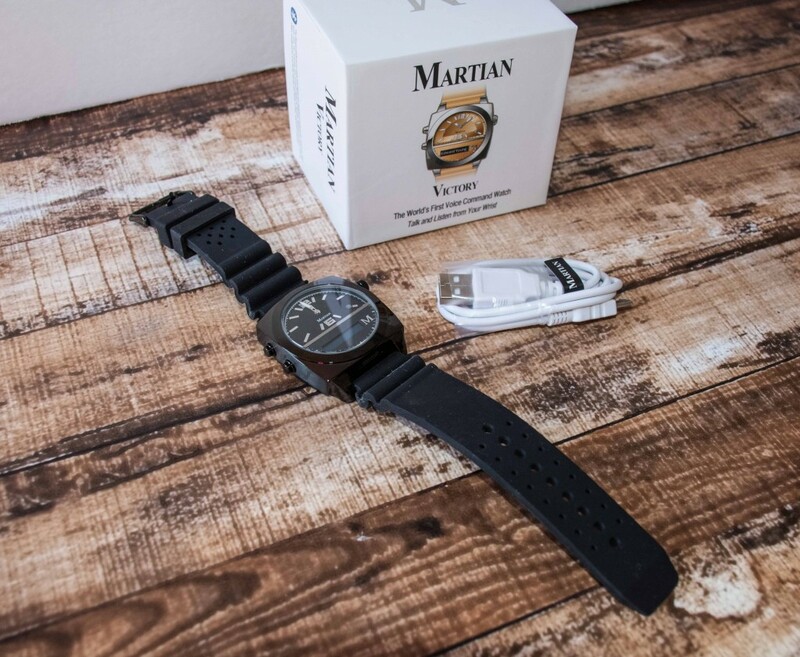 If you find yourself leaving your phone behind often, this watch comes with a “phone leash” so that you never leave your phone at home, at the bar, at a friends house, or anywhere else. The watch has a scratch-resistant glass crystal, and is an analog quartz with Japanese movement. 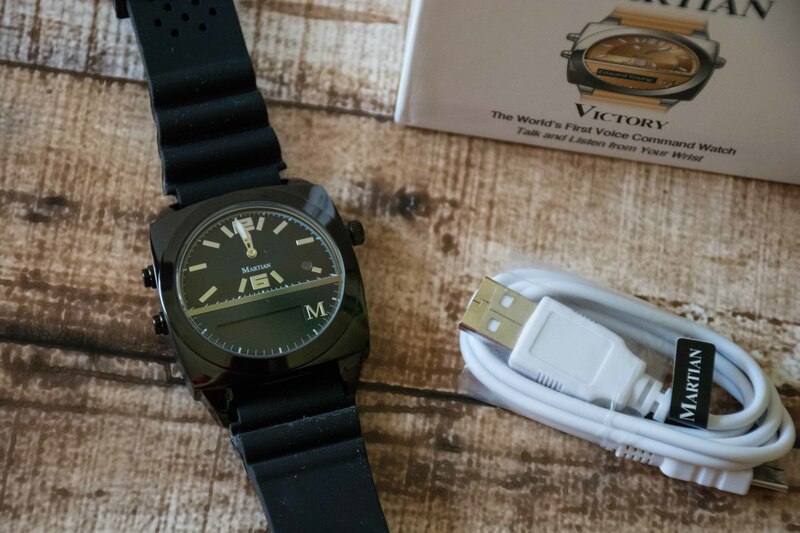 This watch also features noise cancellation microphone and directional personal speaker. I think that the Martian is a great watch for someone that wants to stay on top of incoming items. Although this is not a typical “app” style smartwatch, you still see texts and messages scroll in while wearing it. If you are in the market for a very nice looking watch but want a few smart capabilities, this is the watch for you. You can purchase the Martian Victory on the Martian site. Have you ever owned a smart watch? Do you think that this new technology is something that you’d like to try? Let me know in the comments! That is one of the coolest watches ever! Okay, I have to admit that I don’t even own a smartphone yet so this is probably way over my head. But my son would absolutely flip to have one of these.